The living area is designed in such a way to keep your head high with proud. Here you can find richness in every bit of accessories. 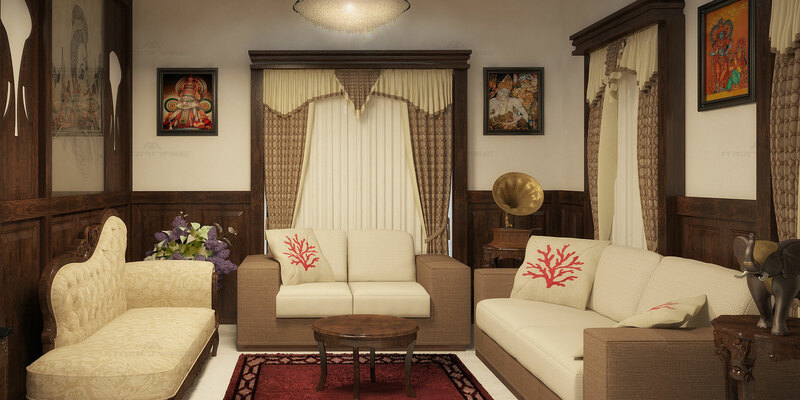 From the royal curtains, antiques, furnitures, paintings, etc the traditional touch is well maintained. Rich false ceiling designs and chandlers add the glory. You feel the richness of tradition in this design.